Food blogger Landi Govender is sharing an easy cookie recipe just in time for your Easter preparations. Easter is almost here, which means lots of cooking and baking will be taking place in the days leading up to Easter Sunday, which is on April 21 this year. 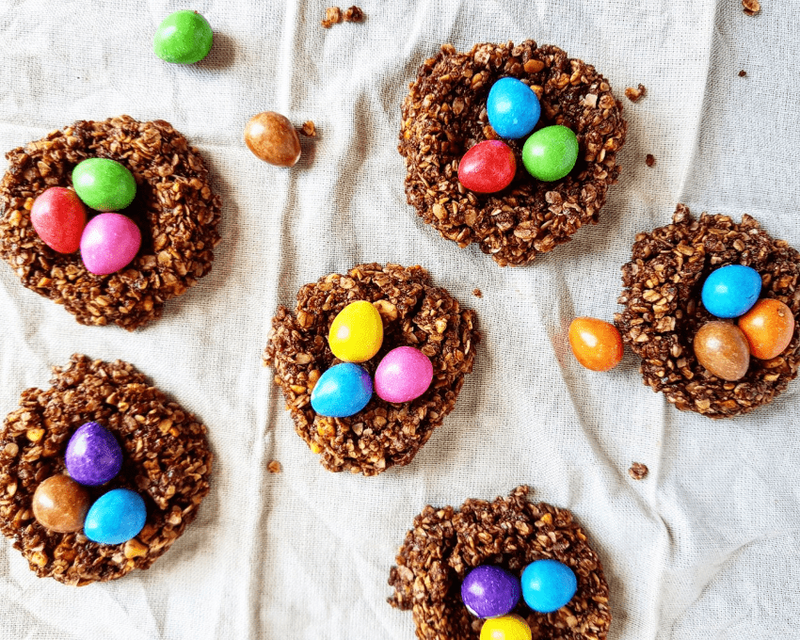 If you are looking for delicious and creative Easter recipes your family will enjoy, these no-bake Easter cookies are a must try. Food blogger Landi Govender says the cookies are a hit with her family. "My kids love these. They’re packed with peanut butter, cocoa powder, coconut oil, oats, and maple syrup. I usually roll these into energy bites for my kids which make a great lunchbox treat," she says. 1. Line a baking tray with wax paper and set aside. Combine peanut butter, syrup, salt, and coconut oil in a saucepan and heat until combined. 2. Add cocoa powder and stir. Add quick-cooking oats and mix well. 3. Add coconut and stir until completely combined, remove of the stove and add in the vanilla essence. 4. Drop one tablespoon portion of the cookie mixture onto your prepared baking tray and press into the shape of nests. Continue until you’ve used all your cookie mixture. 5. Let cool in the refrigerator or freezer until hardened. Top with your favorite candy eggs. Serve cool or at room temperature. Store in an airtight container in the fridge, these also make great on-the-go snacks. Roll into balls and pack them into lunchboxes for a great snack. Visit The Tocka Blog for more delicious recipes.